Shakespeare in the Park was presented by the Riverview Theatre Company at Veteran's Memorial Park in McHenry on Wednesday, July 18, 2012. 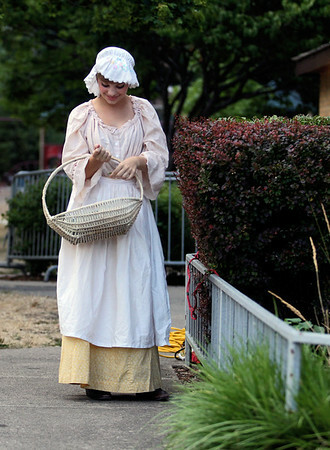 Sarah Nader - snader@shawmedia.com Breanna Lange of McHenry performs as Patty Simple in "The Merry Wives of Windsor" at Shakespear in the Park presented by the Riverview Theatre Company at Veteran's Memorial Park in McHenry on Wednesday, July 18, 2012. 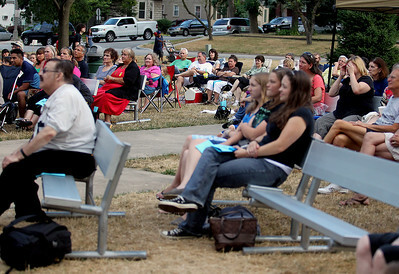 Sarah Nader - snader@shawmedia.com The park was crowded to watch the Riverview Theatre Company's presentation of "The Merry Wives of Windsor" at Shakespear in the Park Veteran's Memorial Park in McHenry on Wednesday, July 18, 2012. 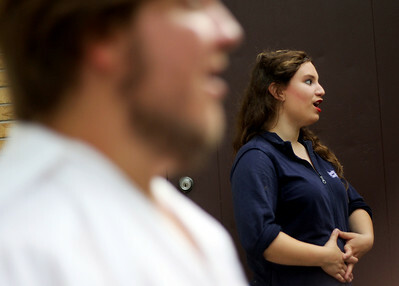 Sarah Nader - snader@shawmedia.com Jennifer Samson of Huntley warms up with the cast before their performance of "The Merry Wives of Windsor" at Shakespear in the Park presented by the Riverview Theatre Company at Veteran's Memorial Park in McHenry on Wednesday, July 18, 2012. 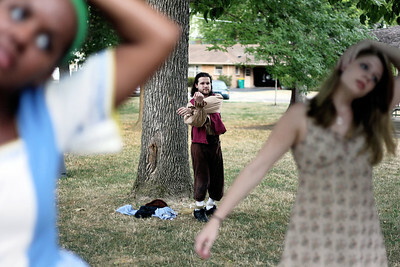 Sarah Nader - snader@shawmedia.com Matt Fraser (center) of Crystal Lake warms up with the cast before their performance of "The Merry Wives of Windsor" at Shakespear in the Park presented by the Riverview Theatre Company at Veteran's Memorial Park in McHenry on Wednesday, July 18, 2012. Sarah Nader - snader@shawmedia.com Breanna Lange of McHenry puts on her stage makeup before her performance as Patty Simple in "The Merry Wives of Windsor" at Shakespear in the Park presented by the Riverview Theatre Company at Veteran's Memorial Park in McHenry on Wednesday, July 18, 2012. Sarah Nader - snader@shawmedia.com Jaclyn Fowler (left) of McHenry. 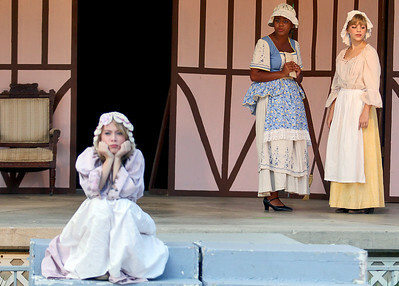 Chloe Hurckes of Johnsbuurg, and Breanna Lange perform in the Riverview Theatre Company presentation of "The Merry Wives of Windsor" at Shakespear in the Park Veteran's Memorial Park in McHenry on Wednesday, July 18, 2012. Sarah Nader - snader@shawmedia.com Nathan Clemenson of McHenry puts on his stage makeup before his performance as Abraham Slender in "The Merry Wives of Windsor" at Shakespear in the Park presented by the Riverview Theatre Company at Veteran's Memorial Park in McHenry on Wednesday, July 18, 2012. 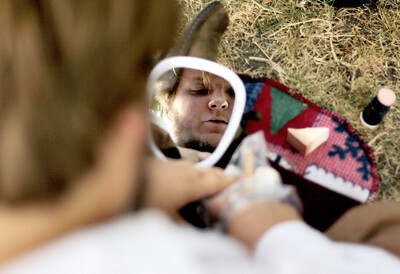 Nathan Clemenson of McHenry puts on his stage makeup before his performance as Abraham Slender in "The Merry Wives of Windsor" at Shakespear in the Park presented by the Riverview Theatre Company at Veteran's Memorial Park in McHenry on Wednesday, July 18, 2012.